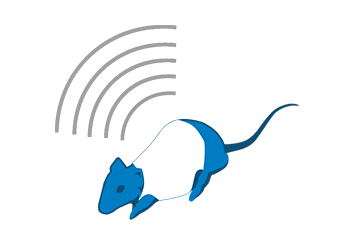 rodentPACK is a telemetry system to investigate biopotentials (ECG, EEG, EMG) and acceleration on freely moving animals 50g and upwards, such as rats. 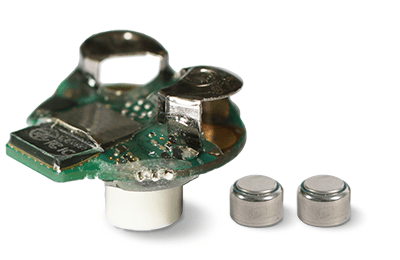 rodentPACK miniature transmitter (5.2g) is worn in a jacket and fitted with miniature ECG cables and skin electrodes. 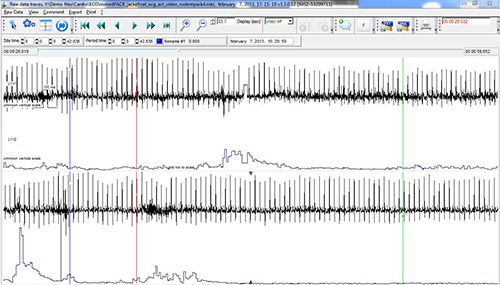 Digital telemetry receivers are positioned in the animals’ room, within 3 to 5 meters distance from their associated transmitters. Each subject is therefore free to move, single or group-housed in its cage, during the acquisition (up to 32 rats in the same room with no required shielding). The whole system is compact, as a single receiver can communicate with up to 4 transmitters. Receivers are powered and transmit data through a single Ethernet cable.